THE Cleveland community is reaping the rewards of a decade-long revegetation project to plant over 12,000 native trees in the Ross Creek catchment area. 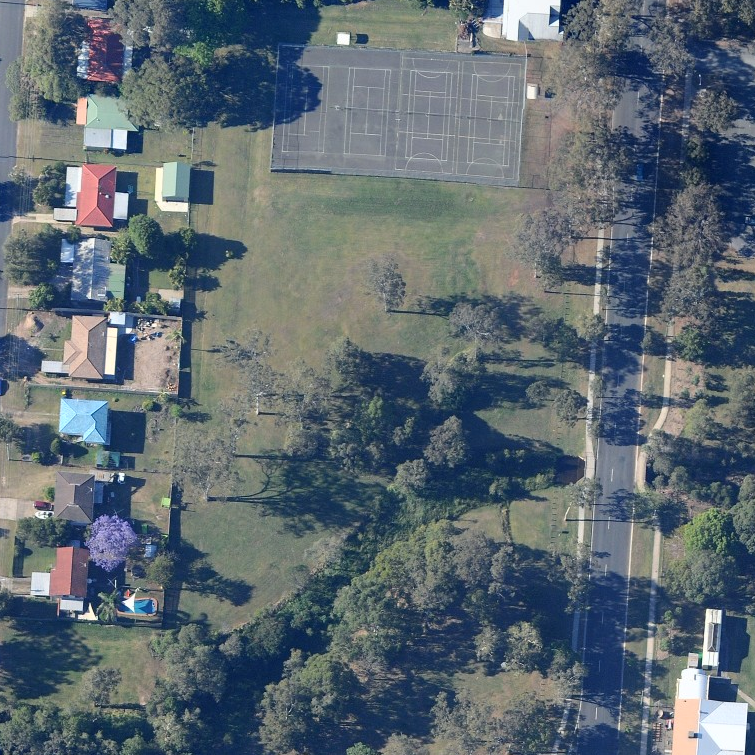 Since 2010, Redland City Council has undertaken regular revegetation work to stabilise Ross Creek and enhance an important wildlife corridor from Long Street to Smith Street. Mayor Karen Williams said the site was a great example of the environmental projects being undertaken across Redlands Coast. “The restoration works to this section of the Ross Creek catchment has brought many benefits, including slowing down water flow during rain events, improving water quality, creating new wildlife habitat and vastly enhancing aesthetic and environmental values,” Cr Williams said. “Sometimes progress is hard to spot until you revisit a site and see seedlings planted many years ago now towering over your head. 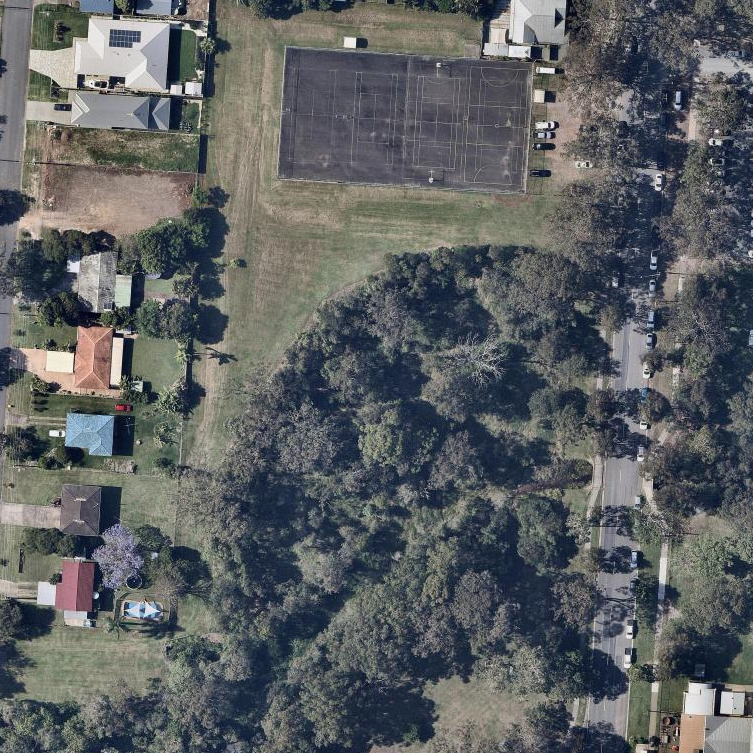 “In the case of the Ross Creek catchment conservation efforts, aerial photos from 2010 and 2018 speak for themselves. 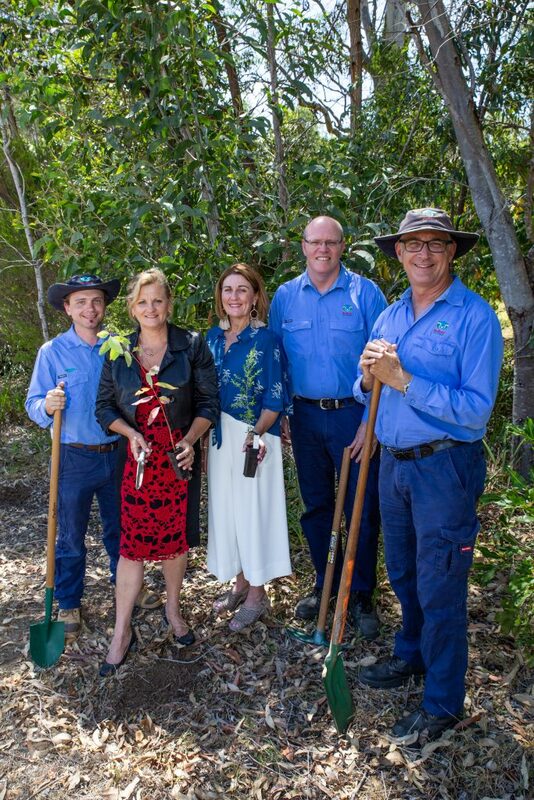 Redland City Mayor Karen Williams, Healthy Land and Water CEO Julie McLellan (centre) and Redland City Council Bushcare Team Leader Boyd Essex, Project Officer (Parks and Recreation) Dominic Newland, and Senior Conservation Officer Rory House. 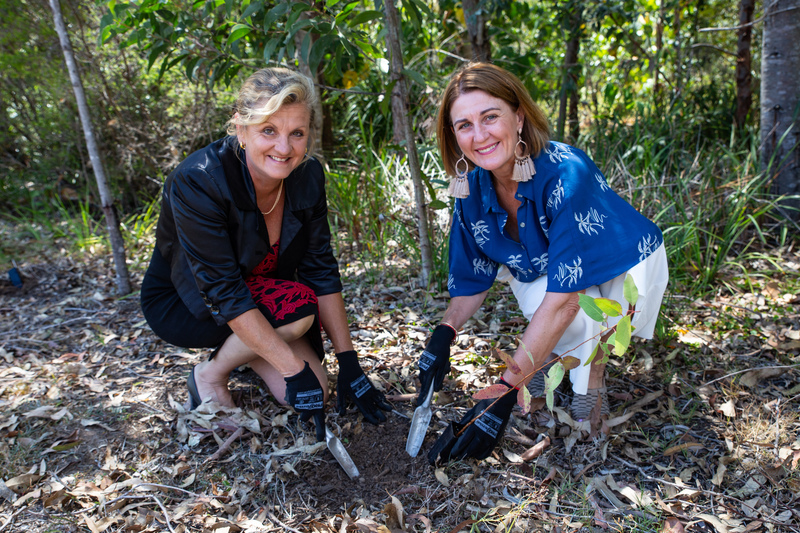 “On Redlands Coast, we value our naturally wonderful environment; and projects like these are happening across the region thanks to the combined efforts of dedicated council staff and Bushcare volunteers. “Reports such as our annual Redlands Coast Waterways Recovery Report and the Healthy Land and Water Report Card highlight the condition of our waterways, but also provide some great examples of environmental achievements, of which our community can feel proud. Healthy Land and Water CEO Julie McLellan commended Redland City Council for its commitment to protecting the Redlands Coast environment. Ms McLellan said results from the 2018 Healthy Land and Water Report Card indicated the quality of the Redland catchment remained in fair condition, though pollutant loads had risen due to an increase in rainfall throughout 2018. “These results showcase why revegetation projects like the Ross Creek restoration are such a vital step in improving the health of waterways in the Redland,” she said. Ms McLellan said the 2018 Report Card revealed almost 60 per cent of Redland residents were satisfied with their local waterways, which is significantly higher than the SEQ average of 50 per cent.